A typical garage conversion can cost anywhere between £5,000 and £7,000 without fittings - around £1,000 to £1,250 per square metre. Compare that to your an average rear extension, which can set you back £15,000 - £20,000, and garage conversions are almost half the amount! It’s no wonder then, as more and more families look for alternative ways of generating space, that people are turning towards this cost effective solution. Is a garage conversion right for you? The first thing you should do, before parting with any of your cash, is to properly assess whether or not this is the right way to expand your home. Garage conversions have loads of benefits. Not only are they easy on the old bank account, they’re also typically easier to acquire planning permission for. However, they do come at the expense of your garage (duh), and depending on where you live, this could be an issue. 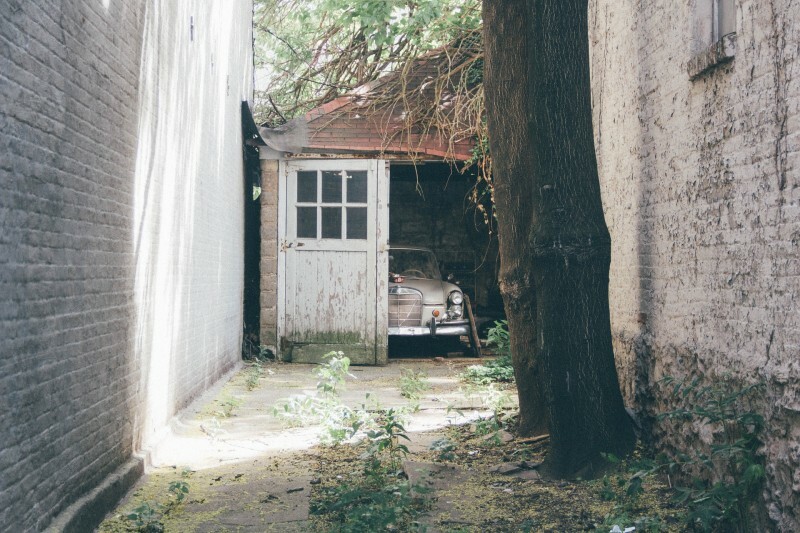 Whether or not you have a car, if parking is at a premium in your street, losing your garage could devalue your home. Though not all of these rooms are created equal. Ground floor bedrooms and bathrooms typically bring in less value than their upstairs counterparts - just something to bear in mind if you plan on selling your home in the future. Replacing your car hole with bricks and mortar is the most obvious job. To get a wall built, and window added, you’re going to have to factor in not only materials but hiring contractors too. You may even need a small foundation inserted, which a structural engineer can advise on. To make your new room feel light and bright, you’ll probably want more than one window, and you might want to do up the access point. The price of these can fluctuate wildly, depending on whether you go for standard or bespoke. Most garages aren’t know for their nice floors, and in older properties, it can be particularly uneven. In order to make it fit for habitation, you’ll need to pour fresh concrete down before you can even think about carpets or hardwood floors. In order to insulate your new room, and stop your heating bills from going wild, you’ll have to build stud walls inside your old garage. This allows for your roof, and the space between the old walls and new to be filled with insulating materials. There are many ways to insulate your home, all with different price tags, so research which one will be right for you. If you’re opting to use your garage to expand your kitchen or dining area, you’ll have to remove the wall separating them. As you can see, the pricing can vary massively, depending on whether the wall you’re attempting to remove is a load bearing one - a structural engineer will be best placed to advise on this. If converting into either a bedroom or recreational space, you won’t have to do much in way of utilities. Most garages come with electrical wiring. However, if you’re converting into a bathroom, or working with a detached garage, that’s when costs can mount. You’ll have to install piping for water and gas, and the further your garage is from the main building, the more the price will increase. As most garage conversions happen within the existing structure, rather than actually expanding anything, you’re likely not to need planning permission. Instead, you should be covered by permitted development rights. You’ll still need to get approval from the council (which comes with a fee), and there could be more admin costs if the council doesn’t approve the work, or you need to arrange a party wall agreement with a neighbour. You might not need an architect for basic conversions, but if you’re looking to combine rooms, or design an annex, then getting an architect on board can help maximise your project’s potential. What’s more, they take care of the planning, making sure your admin costs don’t suffer from bad paperwork. Building regulations are a set of standards that all properties must meet, based around design, construction, and alterations. Half of what you’ll pay will be for the application, and the other half for inspection costs. Prices will vary based on the scale of the work.